QuickBooks Online, Desktop or Enterprise ... Why So Many Options? QuickBooks Online, Desktop or Enterprise … Why So Many Options? NOTE: If you prefer to see this information via a live webinar, register here for the webinar "Why upgrade to QuickBooks® Enterprise?" on July 19, at noon EST. It is normal for any small business owner to be confused about which route to go. And, most marketing/commercial efforts by Intuit today are strictly promoting their "online-based" products because it is their flagship (100% cloud-based) product that caters to the vast majority of small businesses in the U.S. (and some of their emerging markets, such as Canada, UK, India and Australia). If my client is the right fit for QuickBooks Online, Plus is my go-to recommendation, and is $50 a month for up to five users and two external accountants, which cannot be beat. What industry is your business in, and/or what are your revenue generating activities? How many people will be using QuickBooks (even if it is just to pull reports)? Do you have people working remotely, or is everyone working within the name local area network? Are all the users on MAC, PC or a combination? What type of management (custom) reports are indispensable for you to track for your business activities? Do you expect to use a mobile device (smartphone or tablet) to record any accounting-related activities? Do you track inventory, or inventory assemblies? Do you have a need to connect any of your external apps, or other transaction systems (such as e-commerce and customer/vendor portals), integrated with your QuickBooks? If so, which are those? With those answers, I can usually determine the PLATFORM to recommend: Online or Desktop. If Online seems to be the right fit, I immediately start looking at possible apps that focus on serving my client’s industry that may compliment their operation with QuickBooks Online. But, If Desktop seems to be the platform, the million dollar question is then what to recommend: Pro, Premier, Accountant or Enterprise. QuickBooks Pro is limited to three users and manages basic Inventory (similar to the limitations on QuickBooks Online Plus for inventory). QuickBooks Premier/Accountant can do up to five users and can manage inventory backorders, inventory assemblies and multiple units of measure And, there’s QuickBooks Enterprise … well, there are about 20+ specific reasons for recommending Enterprise, which are broken down into those core features. Do you manage inventory? If so, do you need to track multiple inventory locations, bin locations, FIFO valuation, serial numbers or lot numbers? Do you need to have different sales item pricing for different customers types, temporary promotions and/or volume discounts? Do you want to manage payroll internally via QuickBooks? QuickBooks Enterprise Silver: If they did not answer yes to any of the questions above. QuickBooks Enterprise Gold: If they only answered yes to the payroll question. QuickBooks Enterprise Platinum: If they answered to any of the first two questions (because those features are available in the Advanced Pricing and Advanced Inventory modules that are only available in Platinum). And, the last question I ask: "Do you want to run QuickBooks with an internal server, and with workstations connected within the Local Area Network? Or, do you want a cloud-based server so that anyone can login from an office computer or outside the office (and not have any IT-maintenance requirements with internal servers and workstations)?" This also helps me determine if I will recommend a cloud-based hosting option, such as RightNetworks. 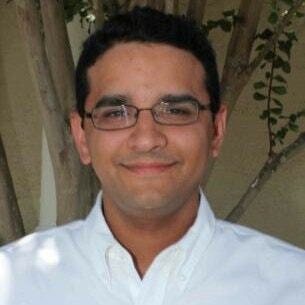 Hector M. Garcia is a CPA and QuickBooks Trainer for Quick Bookkeeping & Accounting LLC. He has over 10 years of experience working with small business finance and accounting, along with 3 Post-graduate degrees from Florida International University (FIU) in Accounting, Finance and Taxation.